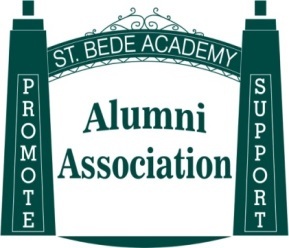 The St. Bede Alumni Association (SBAA) was organized in late 2014 to promote a continuing interest in and support of the educational program, mission and life of St. Bede among its members. All graduates are automatically members of the association and there is no cost to join and there are no annual dues. Membership is open to spouses of deceased alumni and interested friends of the St. Bede. If you are interested in donating to the SBAA to help offset our expenses please see the donate button below. Our Mission is to: To keep alumni informed of social activities and programs through on-going communications; to promote a strong sense of community among the alumni and to facilitate the mutual exchange of ideas between alumni and Saint Bede Academy. Our Motto is to: “Connect and Stay Connected" Help us achieve our mission and keep in touch with Saint Bede and other alumni. To send us updated contact information please click here.